What's the point to a point and shoot? I visited a wonderful photographer in California a few months ago. Gregory Moore. We had a nice dinner and as we walked along the evening streets chatting about photography (imagine that) he kept pulling out his little point and shoot and clicked off shots of walls, town streets, store fronts, and anything that caught his eye. I've loved his work because of his subdued lighting. Especially when it's obviously a location shot. Well, not really a location shot. I think he often does a shot in the studio and lights it impeccably. Then in post he adds one or more backgrounds in and then uses yet another set of amazing skills to blend them so perfectly that I can't really tell that it might not be on location. Then again, I've been with him on a location shoot where he used even more of the same background to add more flavor and emotion to a shot. So, there is still a good reason to have a good P&S in your pocket at all times when wondering around. Just the other day I was walking the mall and there was a wall between stores that was seemingly out of place. Beautiful wood or different colors. Now I have it as a possible backdrop in a future shot. And it's mine, I don't have to pay anyone for the right to use it. Speaking of rights, I always make sure there isn't any 'prior art' in a shot. There was a photographer that took a picture that was published and in the background, blurred out by the DOF, was some graffitti. Now, the graffitti wasn't legal but the tagger who created it sued the photographer for $10,000 and won. The first thought is, why not just use my cell phone? And I have before. 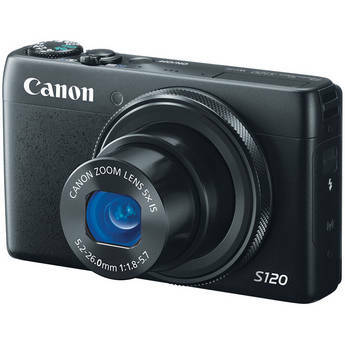 But, having a camera that has enough lens to capture some good light, has a nice ISO range, and in the case of the camera I'm looking at, the Canon S120, the low fStop of f1.8 will make evening pictures rock. But, most important, is to get one with at least 12mp and RAW so the image can be manipulated a LOT after the fact. This is also the difference between the $100 camera and the $450 camera. But, worth it. Pick whatever you like but so some serious research to make sure you find what you like and it has good reviews. Sony seems to lead the pack but it's a close call these days. Canon is hot on their heels and I didn't see anyone talking about Nikon at all. Which is odd because Nikon was hyping their P&S cameras in ads not long ago claiming that if you had their P&S you didn't need a photographer. Yeah, that impressed me too...really? So, work on those masking skills in Photoshop and start building up that background library.